​Born of stone. Imprisoned for 500 years. Monkey’s back – and he’s madder than ever! An ape of lofty aspirations, Monkey inadvertently stumbled across a Taoist master while searching for the elixir of life. From this anointed guide, Monkey would learn the arcane ways of morphing, cloud-hopping and other mystical powers. 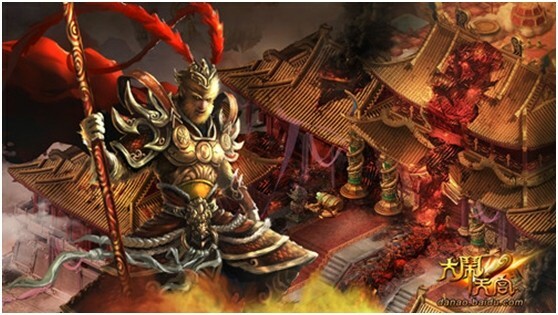 In future legends, Monkey would come to be known as the chosen one charged with protecting the monk Tang Zeng from vile demons as he traveled through treacherous terrain to retrieve sacred Buddhist sutra from the west. Until then however, you’ll have to be satisfied with a blunt-damage cudgel for taking out enemies, and formidable skills such as ‘Warped Universe’, ‘Mountain Cleaver’, ‘Subjugate Demon’, ‘Dark Dragon Surge’ and ‘Crimson Cloud’.